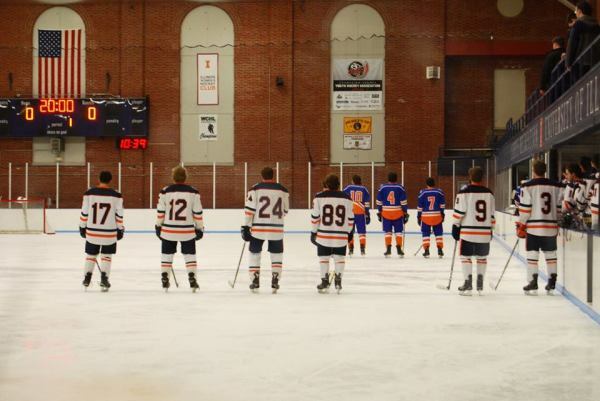 Illinois D2 Hockey is a student-run collegiate club hockey organization. 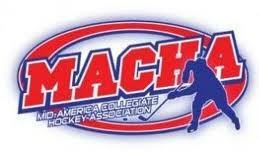 The team is a member of the Mid American Collegiate Hockey Association (MACHA) in the ACHA. The on-campus Univeristy of Illinois Ice Arena is home to the D2 Fighting Illini. After a 9-15-1 record, the Illini have ended their 2018-2019 season. A great thanks goes out to all of the fans, staff, and administration who helped all year long to make the season a great one! Between now and the 2019-2020 season, team administration will be working on scheduling summer recruitment skates for incoming players. As summer approaches, more information about these skates will be posted. Interested in learning more about our team? View our recruitment brochure by clicking here.